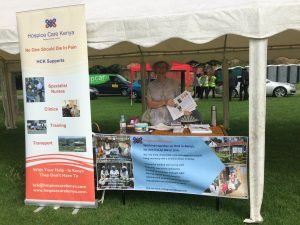 We enjoyed a fantastic day at Kenya in the Park on Saturday. Not even the rain could dampen the festival atmosphere. 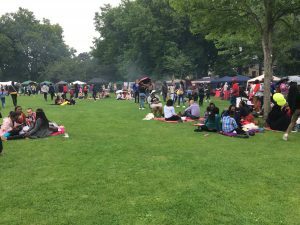 From music and food, to businesses and African clothing and jewellery; the event was a celebration of all things Kenya. 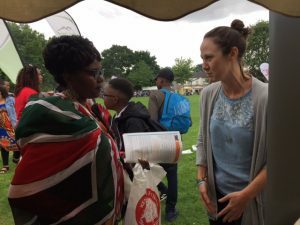 Thank you to all at Kenya in the Park for hosting us, and thanks to everyone who came meet us. 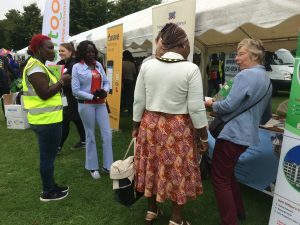 We talked to so many interesting people, many of whom work in nursing and hospice care, and who were interested to hear more about our work and to share their own experiences. Please keep in touch!